Today's vignette is about the power of persistence. 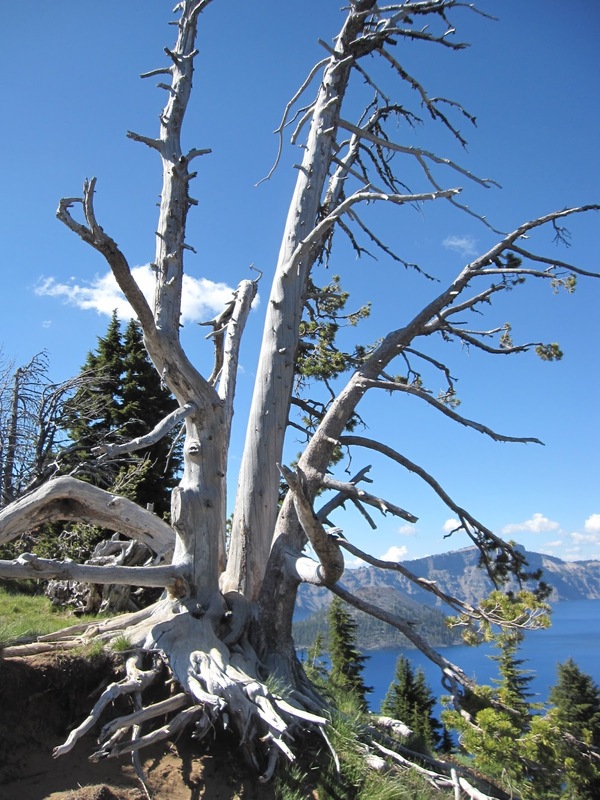 Bristlecone Pines are some of the earth's oldest living single organisms, so this craggy, blasted Bristlecone Pine has lived on the rim of Crater Lake likely for centuries. Although the tree is mostly dead, there are tufts of green needles still doggedly clinging to life at the ends of a few branches. This image gives me hope for the future. Wednesday vignettes are hosted by Anna at Flutter and Hum. Check out other comments there for some lovely images and a fresh perspective on life - and hope. 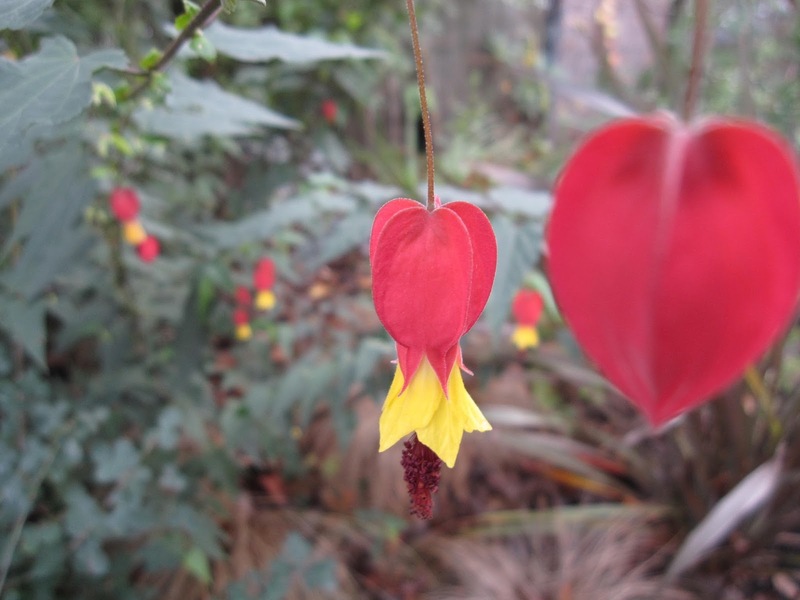 It's Garden Bloggers Bloom Day. I've been a no-show for a few monthly rounds but I'm back and ready for the beauty of gardens to begin healing my soul after a week of despair and sad news. 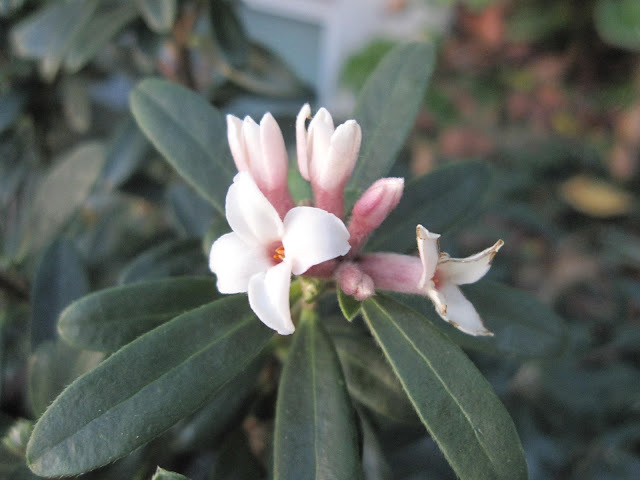 So are you tired of seeing the lovely and fragrant Daphne 'Eternal Fragrance' yet? I don't think I ever will be. Also softly pink, and earlier than ever, a few Arctostaphylos 'Austin Griffiths' flowers are beginning to open. 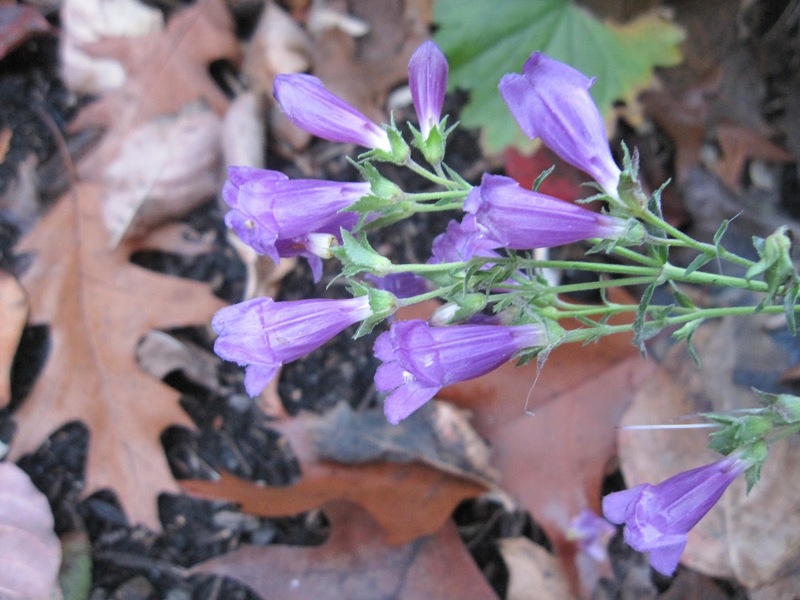 After cutting them back in September, the Mulch Man has a few re-blooming Penstemon in the Northwest Territory. 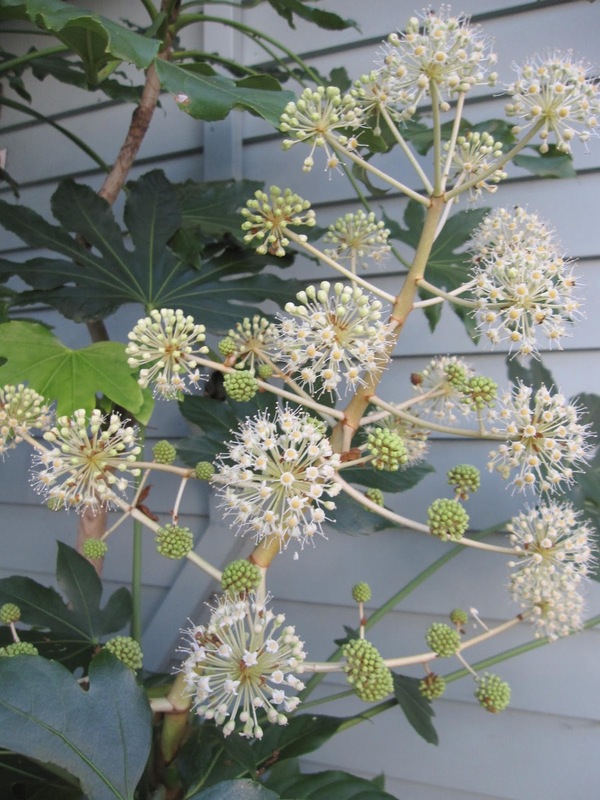 The darling, sputnik-style blooms of Fatsia japonica always look festive to me; I love that they seem to kick off the holiday season for the garden. 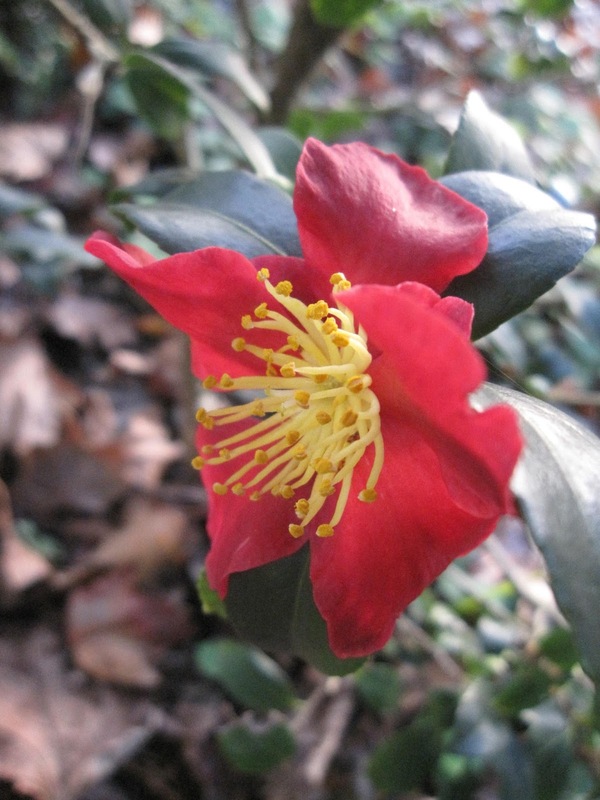 With a cultivar name like 'Yuletide', this Camellia has to bloom during the holidays, right? I'm especially pleased to see a smaller C. 'Yuletide' we moved earlier this year starting to bloom in the front shade bed. 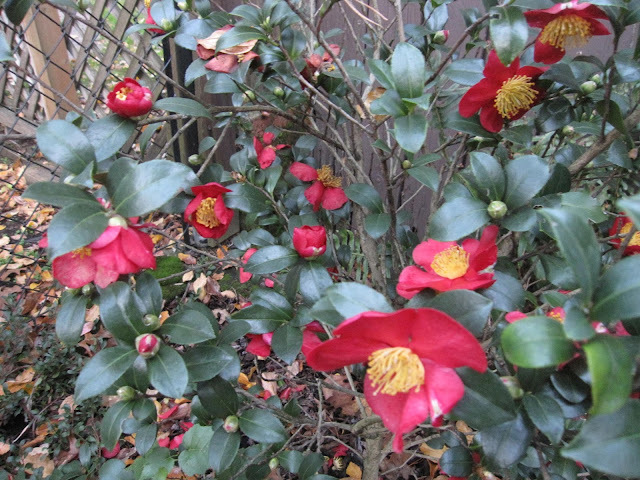 It had suffered in a back garden bed where it got too much afternoon sun, but it looks much happier and healthier this fall. 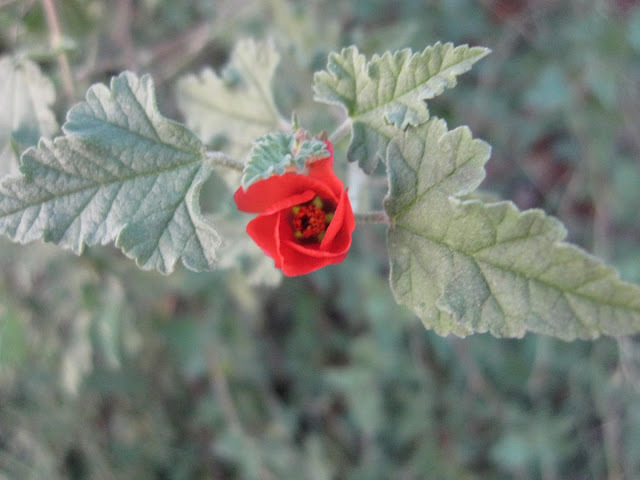 A few little, mallow-like flowers remain on Sphearalcea 'Newleaze Coral'. I need to look into whether I should cut this back for winter, or just let it sprawl for now. 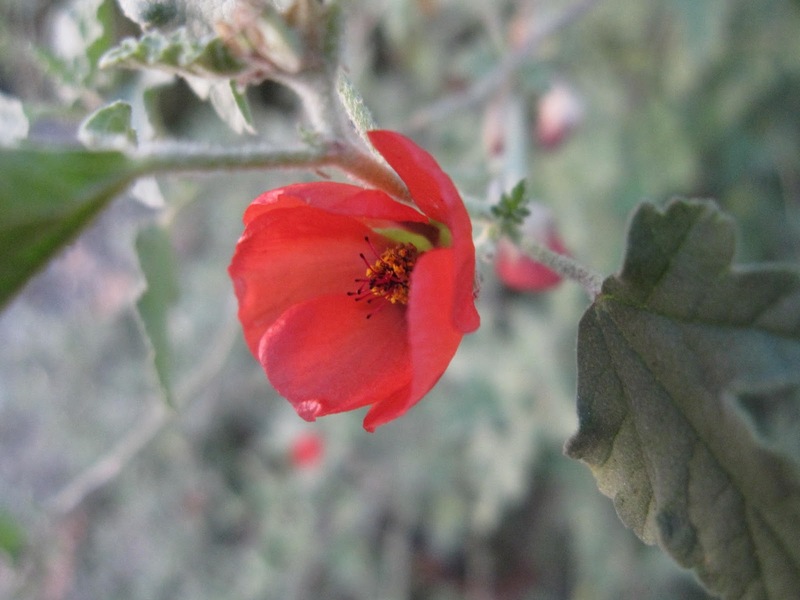 Abutilon megapotamicum has bloomed non-stop this year, and those little red and yellow blooms have brightened up many cloudy days for me this fall. 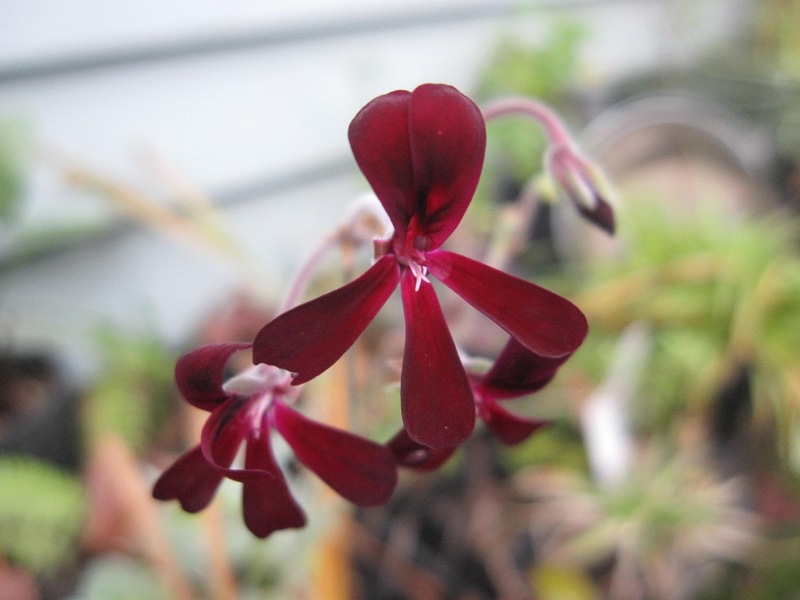 The deep maroon petals of Pelargonium sidoides are a sweet surprise this late in the year. 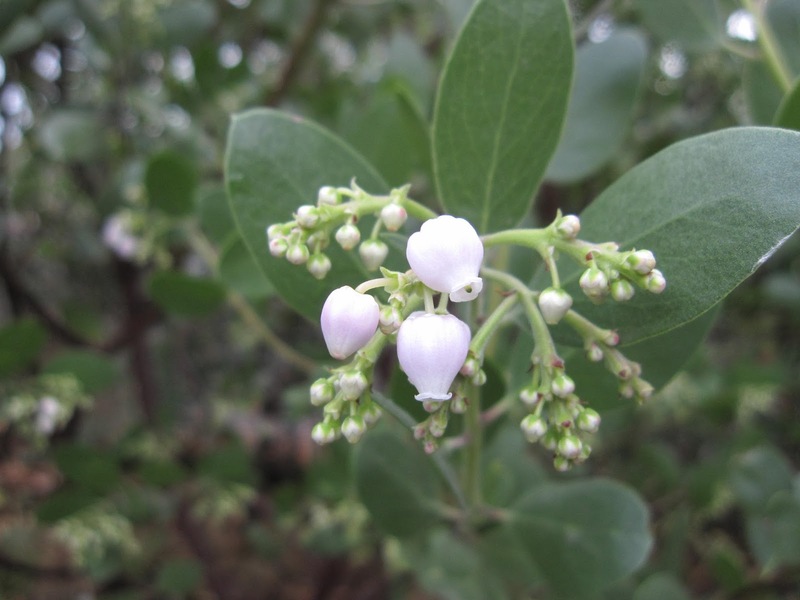 This South African plant is apparently used to treat bronchitis as well as cough, sore throat and congestion. I'm using it to heal my sore heart this month. 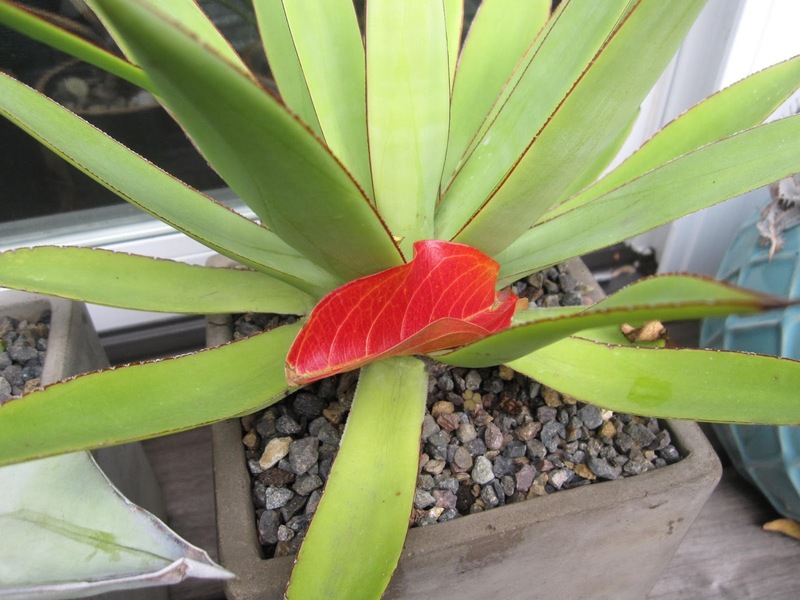 I'll leave you with this Crape Myrtle leaf that fooled me from a distance, even though I know any bloom on this agave would look completely different. I just had to include this brilliant faux flower. On this Garden Bloggers Bloom Day, I'm very grateful to my garden (and my gardening friends) for providing the beginnings of healing for my bruised soul. Thank you Carol of May Dreams Gardens, for hosting. Happy Garden Bloggers Bloom Day to you all, wherever you are.